This annual competition is a venue for the country’s finest sommeliers to showcase their knowledge and skills in wine service in an international-format competition, which consists of a written, as well as a practical examination. It is open to both students and professionals in hotel, restaurant, bar and other F&B operations. 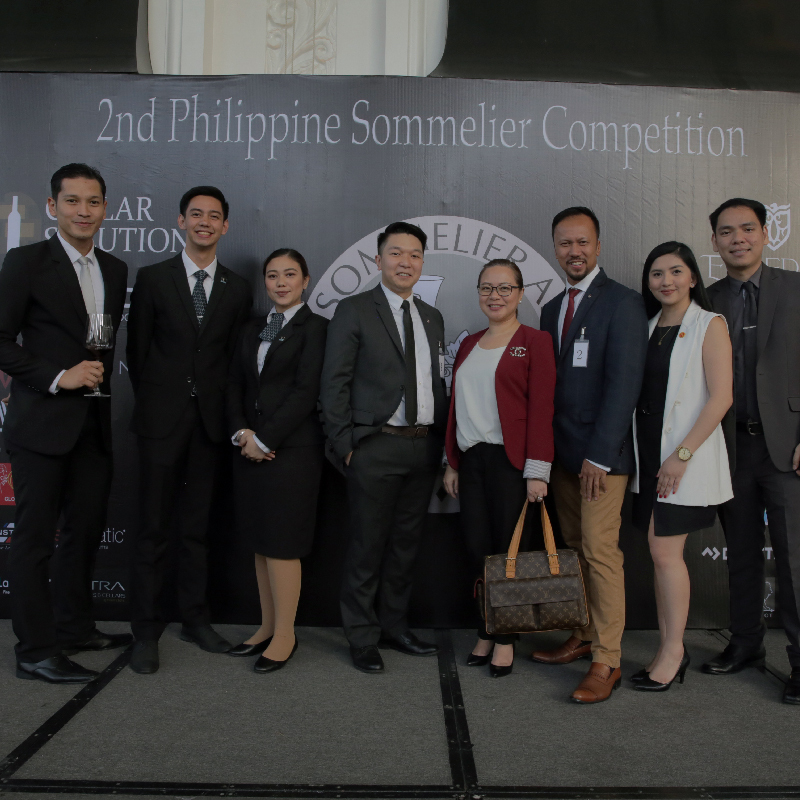 This year was Vatel Manila’s first time to participate in the Philippine Sommelier Competition. Rios was joined by Franz Tionko, fellow third year International Hospitality Management (IHM) student, for the Junior Category. Both were trained by Mr. Eanglebert Guina, who also won first place in this year’s Professional Category. Rios and Tionko trained with Guina in a span of just three days through a series of lectures and practical exercises on opening bottles, wine and food pairings. Last May 7, Rios and Tionko competed against other participants from Enderun Colleges, a private management college located in Taguig City, Metro Manila. This year’s judging panel was headed by Tommy Lam, president of the Asian Wine Institute, and Joe Sriwarin, president of the Thailand Sommelier Association. Joining them as guest judges were Manila-based wine experts Jay Labrador (The Wine Steward, Inc.), Isabel Lozano (MIL Consulting), and Julian Gagliardi (Happy Living Wines). 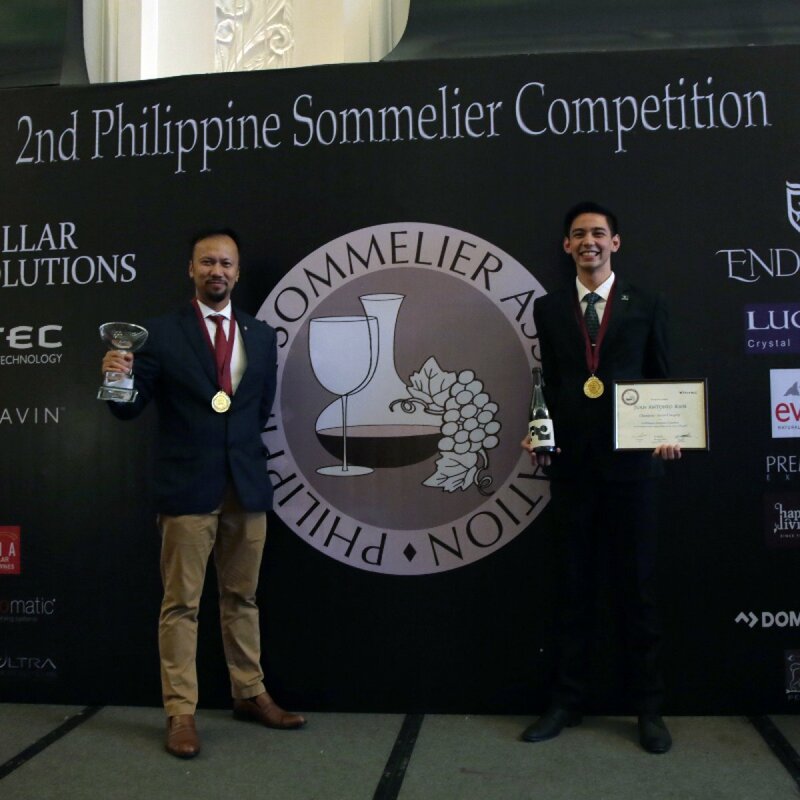 A written exam that lasted 45 minutes and a practical exam that centered on opening and serving a bottle of white wine for the judges as well as preparing a wine and food pairing garnered Rios the first place prize, with Enderun Colleges’ Maria Carina Gonzales securing second place. “It really challenges you,” Rios said when asked how this experience has shaped his skills, knowledge, and mindset as a hotelier. “It does give you that edge on critical thinking and how meticulous you are when it comes to the minute details,” he added.